How are Christians to respond to suffering and persecution in a climate of growing geopolitical insecurity? In the latter part of the 8th century BC, when Judah was twice invadedaZand under existential threat, God commissioned a lone prophetic voice toaZspeak his words into a politically charged military crisis. In IsaiahaZ1-39 God has provided spiritual resources and a historic precedent toaZhelp us respond rightly when under siege. In these days, as Christians world-wide faceaZescalating persecution and existential threat, it is time to hear the message of Isaiah. Elizabeth Kendal is a leading religious freedom analyst and prayeraZadvocate on behalf of the persecuted church. Turn Back the BattleaZdraws on heraZlong familiarity with global trends in religious persecution. 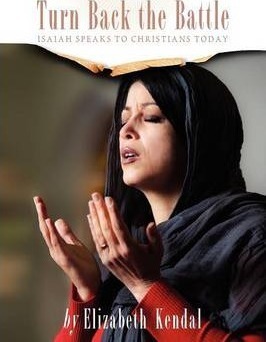 It hasaZbeen forged out of a passionate interest in how Christians respond toaZpersecution and all forms of suffering.